Get your hands on top quality skincare that works. No fancy ingredients, just effective formulas for flawless skin. Shop the NIOD range here at Mankind. NIOD (Non Invasive Options in Dermal Science) provides effective skincare at an affordable price to avoid unnecessarily testing each product on the market to find a great quality product. 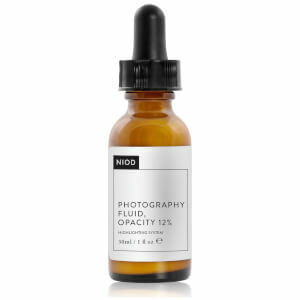 There are two key serums within the NIOD range, one of which is the Copper Amino Isolate Serum. This serum works to combat visible signs of ageing and wrinkles, improves circulation for healthy-looking skin whilst evening out skin tone, boosting radiance and minimising the appearance of pores. Containing Hyaluronic Acid, this serum has an extremely low molecular weight, making it capable of being absorbed deep into the skin to maintain moisture levels. One bottle of the serum lasts around three months and should be used first within your skincare routine, morning and night, using 3-4 drops each time. The other key serum in the range is the Multi-Molecular Hyaluronic Complex. With twelve forms of hyaluronic compounds used to make the serum, it hydrates and plumps the skin by stimulating the production of collagen. NIOD state that you only need to use these two key serums within your skincare routine for healthy, moisturised and radiant skin. No other products are needed to take care of your skin, not even a moisturiser!